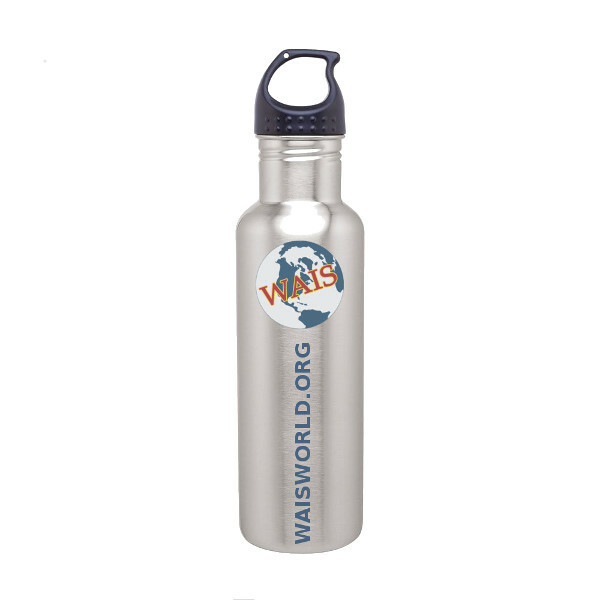 This durable, stainless-steel water bottle is as smart as it is environmentally responsible. 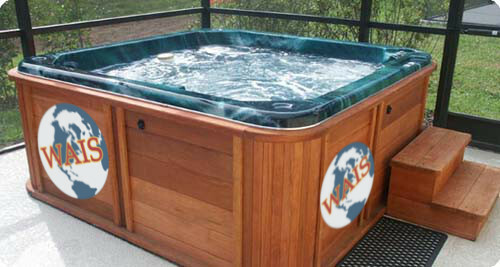 It features the WAIS globe logo, together with a convenient URL address (waisworld.org). Take WAIS out to the Ball Game! 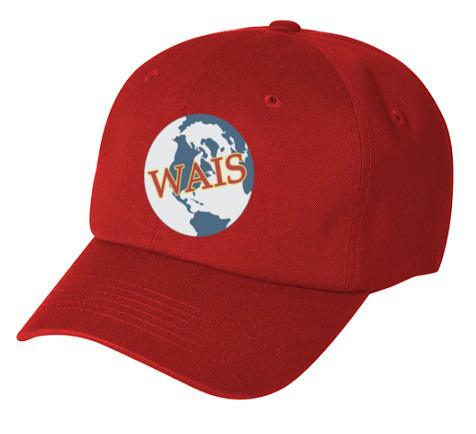 Beam with WAIS pride in this adjustable cap. MAGAistas, take note! WAIS has been Great since 1965, and we're not afraid to tell the world. 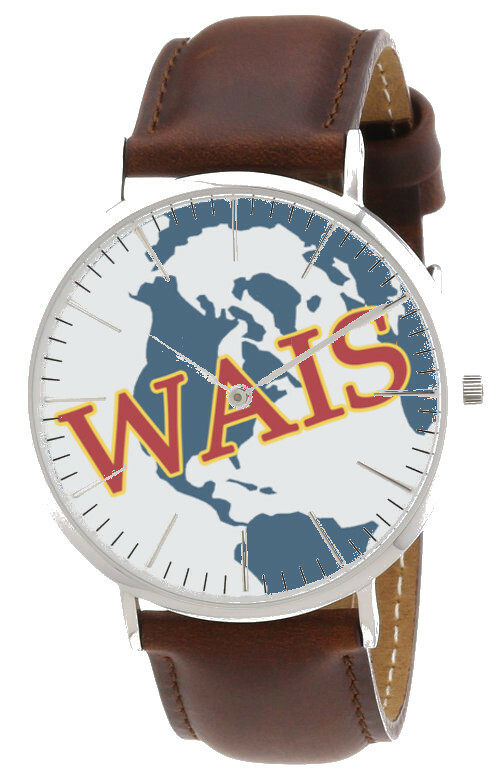 It's always "WAIS time" with this stylish chronometer! Of durable metal and plastic construction, this fashion timepiece is powered by a really small battery, which you simply replace when it stops working. No need for bothersome winding or flailing your arm! Why shouldn't Fido love WAIS, too? He will with WAIS Dog Food! 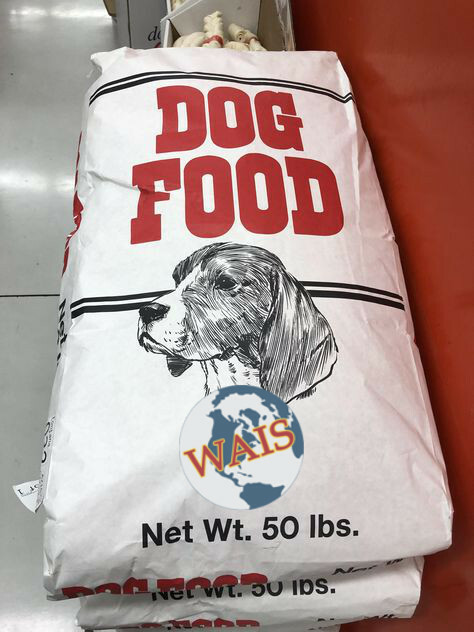 Packaged in economical 50-pound (22.67 kilo) bags, WAIS kibble gives Fifi a balanced diet of essential vitamins, proteins, vegetable filler and irresistible by-products. She won't even complain the next time you ignore her to stare at your computer, smart phone or tablet! Feel sassy and WAISly all-under. New and just in time for the summer--the WAIS thong! (unisex, one size fits all). After an intense day of WAISing, unwind in this all-season spa! Even better, settle in for a soak with candles, a Chardonnay and plan your next spirited post. Pulsating jets massage away your anxieties, and colorful lighting sets the mood for reflection on Mussolini, Mueller's exoneration of Trump, Brexit, and those Fabulous, Finntastic Finns.